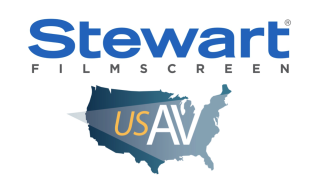 Stewart Filmscreen has partnered with the USAV buying group as a vendor under the group’s Preferred Manufacturer Partner (PMP) program. Stewart Filmscreen brings a tiered pricing structure, training, and seamless large-format screen sizes to the commercial AV buying group. Affiliate partners of USAV will immediately receive access to a top-tier pricing structure and access to the entire line of Stewart Filmscreen products and services. This includes the selection of Stewart Filmscreen commercial AV products for various pro AV market sectors including education, government, financial, corporate, broadcast, post production/screening, theme parks, simulation, museums, and large-venue/auditorium applications. Stewart will also provide in-depth training materials for USAV members, including sales training and screen binders, sample screen materials from across the Stewart Filmscreen line, demo units, and extensive marketing materials specific to USAV.